Starting in 2013, Swamp Head Brewery has been offsetting the carbon footprint of their Football Fridays with us, and that couldn’t make us any happier. You may be asking yourself right now, “Well, what’s a carbon offset?” What you’ll find is that the answer is surprisingly simple. Most human behavior pollutes our atmosphere. Driving our cars, taking showers, turning on our lights, etc. As much as we try to reduce our energy consumption, there are not many people I know that are willing to spend the evenings in their homes with the lights off, including myself. So you reduce as much as you can and you have the option to “offset” the rest. Carbon offsets are created when you reduce or absorb the emissions of one thing in order to compensate for another. For instance, you can “reduce” the amount of methane going into the air from a landfill to make up for using your air conditioner. And even better yet, you can “absorb” the pollution from your car by planting a tree. When you do enough good to compensate for the bad, you’re carbon neutral. Swamp Head Brewery has done an incredible job of lowering their carbon footprint as much as possible by planting trees, installing solar on their roof and being very aware of where their ingredients come from. Even after all of that, there’s still a little bit of a carbon footprint that needs to be accounted for and that’s where we come in. We believe that local carbon offsets are just better, so we work hard to reduce and absorb emissions in Gainesville to be able give these well ­deserved businesses the most meaningful offsets available. 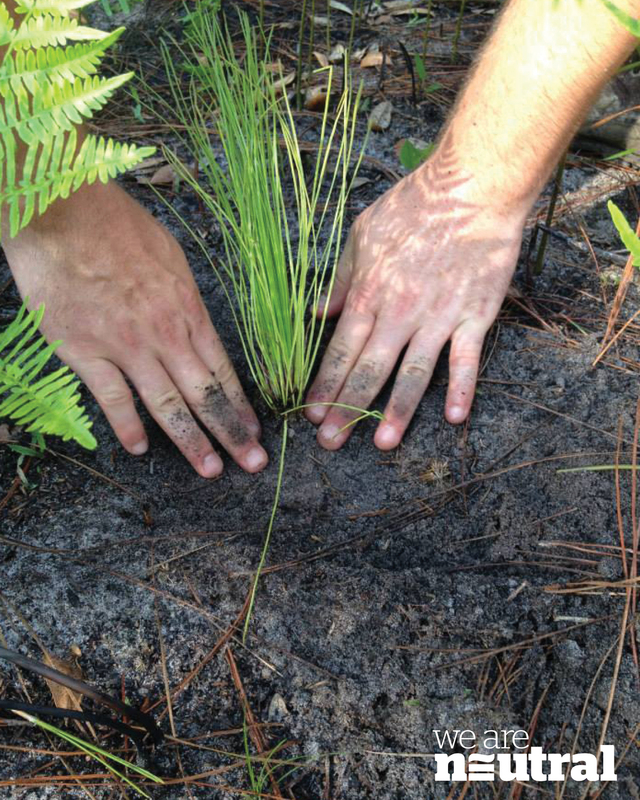 We create offsets by retrofitting low ­income homes, planting indigenous longleaf pine trees, and through landfill methane abatement. Not only do we do this for Swamp Head Brewery, but we do this for the Florida Gators as well. 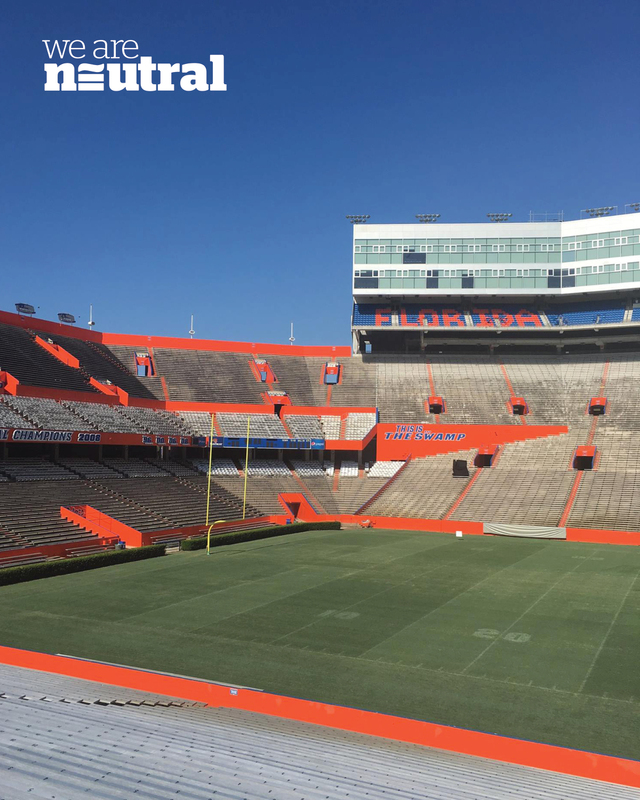 The Gators are the first carbon neutral athletic association in the country, and they’ve accomplished this with carbon offsets that served their hometown in the meantime. We are working with the entire University to help make them completely carbon neutral by 2025. Sure, it’s a lofty goal, but when it comes to support, we’ve got a lot here in Gainesville. So, when you attend Football Fridays, you are not only supporting an environmentally conscious local brewery, you’re also rooting for a team that has put sustainability in the forefront of their goals. Isn’t Gainesville a great place to be?